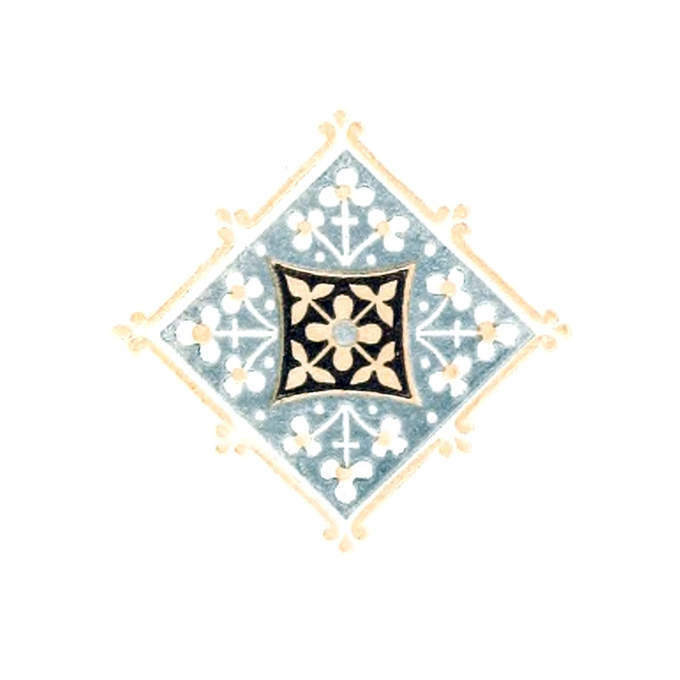 Two-color lozenge-shaped ornament with floral and foliage design. Lozenge-shaped ornament with blueish-gray background, floral and foliage design, and orange border. 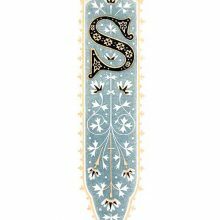 Decoration used as a tailpiece for the sonnet “From You Have I Been Absent in the Spring…” by William Shakespeare.